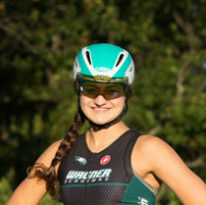 For many years, Wagner has enjoyed a good position in college rankings, such as the one published by US News & World Report, that use criteria like incoming students’ SAT scores and class rank, academic reputation surveys, and faculty qualifications and resources. In 2013, Wagner College got some love from organizations that put more weight on graduates’ outcomes. 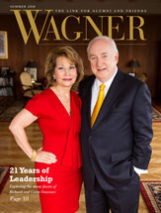 Forbes Magazine also included Wagner in its top colleges list for the first time in 2013. 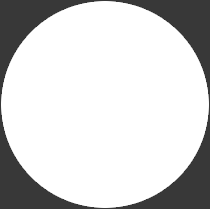 Produced in partnership with the Center for College Affordability and Productivity, the Forbes list emphasizes “output.” Major criteria include student satisfaction, post-graduate success (measured in part by PayScale rankings), student debt loads and default rates, graduation rates, and student and alumni success in winning national scholarships and completing Ph.D.s. 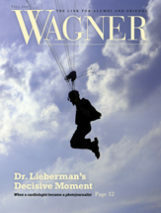 Wagner came in 337th out of 650 colleges and universities in the Forbes list. Bob Herr, Wagner’s dean of admissions and financial aid, says that these rankings respond to the increased public interest in the question, “What do I get from my educational dollar?” This question is not only being asked by parents of prospective students, but is also being covered heavily in the media and is a topic President Obama is addressing as well. The positive news continues with other ranking organizations. In U.S. News & World Report’s college rankings for 2014, Wagner was the only college or university in New York State with four or more “programs to look for” — and one of only seven such schools nationwide. The magazine defines “programs to look for” as “enriched offerings … linked to student success.” Wagner’s programs in this category are the first-year experience, internships, learning communities, and service learning. Wagner placed #24 in the U.S. News overall northern regional universities rankings. The College was also cited on the regional universities list of “Up-and-Comers” (#4). In addition, Wagner was listed in the Princeton Review’s 2014 Best 378 Colleges guide for the 10th year in a row. The Princeton Review also ranked Wagner College Theatre #2 among such programs nationwide; only Carnegie-Mellon University ranked higher. This is the 10th year in a row that WCT has been ranked on the Best Theater list. Wagner was also listed on two of the Princeton Review’s “Great Schools” lists — for health services majors, and for education majors. Mar 04, 2016 In the ‘New York Times,’ Wagner is ranked sixth in the nation for its impact on graduates’ earnings. Sep 14, 2015 A Wagner education is a good value, says the Princeton Review. Jan 15, 2015 Current staffers of the student newspaper take lessons from the past.